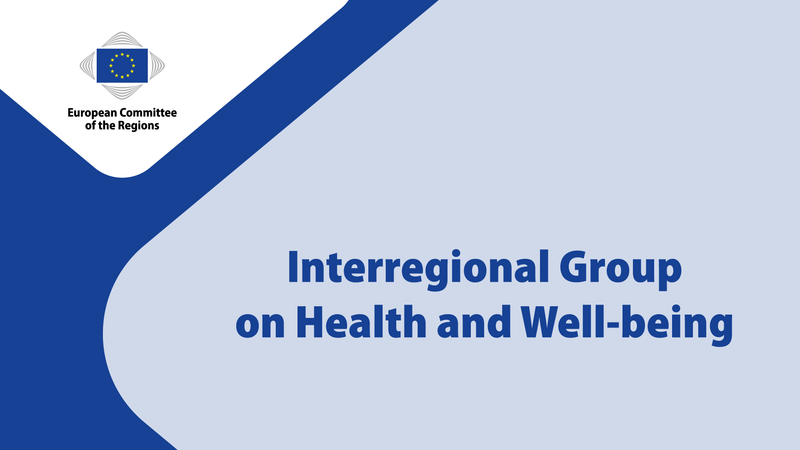 The next meeting of the Committee of the Regions Interregional Group on Health & Well-being will take place on Thursday 17 May at 8h00-9h00 at the Committee of the Regions building, room JDE 52. The event will involve a presentation by Ms Irene Norstedt, European Commission DG RTD, on the role of precision medicine and its contribution for the future of Health in Europe, and a presentation by Prof Andrés Cervantes, University Clinic Hospital of Valencia, on liquid biopsies as a tool to foster precision medicine. Healthcare services requiring the use of precision medicine are becoming more and more available in everyday clinical practice. More patients are now benefitting from using cutting-edge drug therapies to treat conditions diagnosed through the latest testing technologies. Today, genomic medicine and personalized therapies are benefitting significant numbers of patients and leading to new drug discoveries. In this context, Europe is taking a leading role, helping to drive a transformation in care for people with chronic conditions or those at risk of developing them. This shows that, despite the fragmented nature of healthcare systems in Europe, collaboration among different countries and regions is possible and is often the key to success. Against this backdrop, the aim of the meeting is to present the main features of precision medicine in the EU and give the floor to regional experiences and viewpoints on the matter. The event will conclude with an overview on the state of play of the discussion about the European Commission proposal for a regulation on Health Technology Assessment (HTA), given by Ms Soledad Cabezón Ruiz, Member of the European Parliament and rapporteur for the proposal. The European Commission has proposed a regulation which seeks to strengthen EU cooperation on HTA. It should assess the added value of products and bring comparison with other technologies, overcoming the fragmentation across the EU. The proposed new model of EU cooperation aims to help national health authorities identify innovative technology and reward it, thus enabling patients to access the best treatment available for their specific condition. The proposal will also affect the regional dimension in countries where regions have legislative competence in the field. The meeting will provide an opportunity to engage in a fruitful debate on the potential and implications of this new model of EU cooperation on HTA. To review the event agenda, please follow this link.